Spotted and bagged one a few days back while I was huntin’ on The You Tube. It come up over a marsh as an “ad” and as baggin’ ad-type rocks is a piece a piss I normly bail out as this is jest cleanskin for junior Rock Hunters. But I was bit gobsmacked by this ‘un. Not enough to let loose a “Holy dooley!” but stuffed, I’ll be I was. Enjoy my kill mates. iTunes Radio has taken it upon themselves to put an end to the Loudness Wars. iTunes Radio now includes a new Sound Check algorithm, which limits the volume level of all tracks. In other words, it lifts the level of the quiet tracks and lowers the level of louder ones so they’re all the same. What makes this a threat to hypercompression is the fact that Sound Check can’t be defeated by the listener, the mastering engineer, the producer or the record label. What’s more, if a song is dynamically crushed, Sound Check might turn in down in a not exactly pleasing way, causing all parties involved to possibly rethink about going for so much level in the first place. 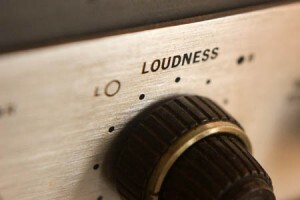 My gut feeling is that it’s not iTunes’ business to determine how loud or quiet anyone’s music is mastered. Screw iTunes! 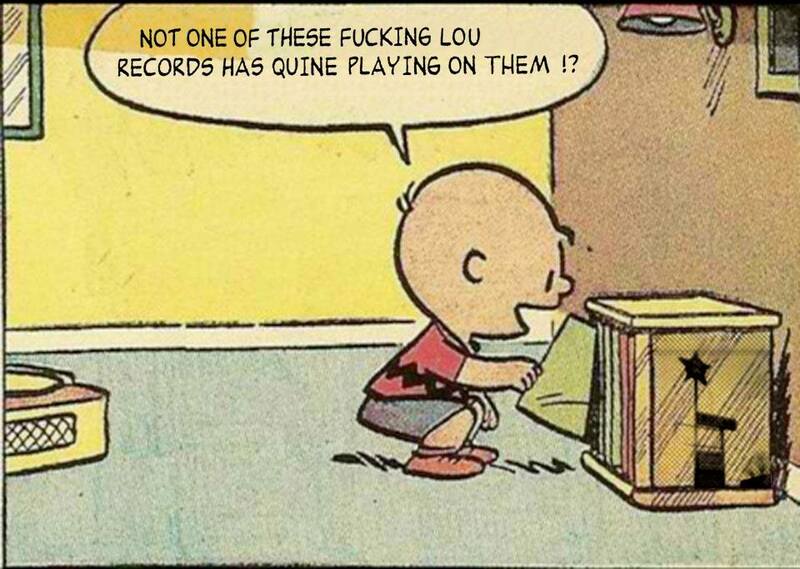 I like loud records. Sometimes I like quiet records. I bet Lou Reed’s turning over in his grave, because this doesn’t respect the way artists are meant to sound. Lou Reed…as E. Pluribus Gergely likes to remember him! It’s the beginning of a Lou Age. Some questions remain in the balance following the death of Lou Reed that, following a respectful period of mourning, perhaps Rock Town Hall is best qualified to answer. If his album with Metallica is the last batch of new recordings to have been released does that mean that that album was, definitively, the final word on how Lou Reed was meant to sound, or will the ghost of Lou emerge to proclaim that each new set of posthumous recordings that emerge is actually how his music was meant to sound? Who will play Lou in the biopic? Assuming that a dearth of opportunities for badly glued-on facial hair will keep Oliver Stone out of consideration as director, who should direct this film? Who do you predict will be the least-appropriate musician to appear in a sure-to-be-star-studded tribute to Lou held at Madison Square Garden or the Rock ‘n Roll Hall of Fame? What song will said artist butcher or, shockingly, make work? What song will a hip-hop artist cover? What song will a contemporary country artist cover? Will Arcade Fire back Bowie or Springsteen? Will we ever get the real story on Reed’s teenage or post-Velvets shock treatment? Is that a rock myth along the lines of Dylan’s motorcycle crash and ZZ Top performing with buzzards and buffalo on stage? Lou Reed…As Get Crazy Was Meant to Be Seen! Lou’s no longer with us in body, but that doesn’t mean his true artistic intents cannot continue to be illuminated. The 1983 movie Get Crazy, featuring our hero, was a flop. You know why? Because the director left 83 minutes of Lou-free footage in the final cut! Someone cut the movie down to the 9 minutes featuring Lou. Check it out and tell me this shouldn’t be reissued as the Director’s Cut, If Lou Reed Had Been Allowed to Direct the Movie. Thanks for cherguevarra for passing along this find! Lou Reed…As His Music Sounded to Me! I first became aware of Lou Reed when I was 13 or so, the year I finally dipped into FM rock radio after a childhood of scratchy 45s; my first 2 dozen LPs by the likes of The Beatles, The Band, Joe Cocker, and Traffic; AM radio; and the latest TSOP album-length cuts hot off Philadelphia’s FM soul station, WDAS. Rock radio on the FM dial in 1976 wasn’t all the cool, older kids at my school made it out to be. I got to hear cuts from Who’s Next for the first time and more Mick Taylor-era Stones than I’d ever heard before on AM radio—and there Beatles A to Z weekends galore—but I had to wait through a bunch of stoopid blooz-rock that typically bored me once songs ran past the 3-minute mark: Led Zeppelin, Ted Nugent, Lynyrd Skynyrd, The Allman Brothers…not to mention the often perplexing genre known as progressive rock. Jethro Tull slotted in between all these uncomfortable sounds. Worse yet, FM rock in Philadelphia circa 1976 featured way more Jackson Browne and Eagles than I could stomach. Often I figured, The hell with trying to impress the cool kids! and flipped back to the comforting AM sounds of The Spinners and Elton John. 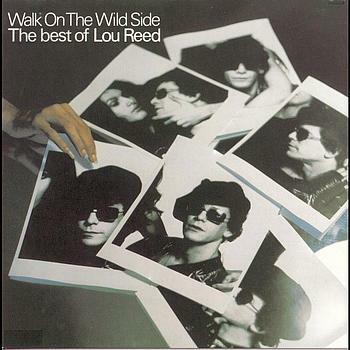 One long guitar-driven song that occasionally hit the airwaves on WMMR and WIOQ at that time was the Rock ‘n Roll Animal version of “Sweet Jane.” I already knew and loved “Walk on the Wild Side,” which somehow got played on AM radio when I was a preteen, but Lou Reed was just a name back then. The live version of “Sweet Jane,” with its swirling, fuzzed-out guitar intro followed by Reed’s strange, talk-sung, hectoring vocals and fatalistic lyrics always made me reach for the dial, the VOLUME dial. I cranked it up and marveled at the crunch Reed and his band produced. While the cool kids were slobbering over the quintuple-guitar solos of bands playing California Jam, I wanted to know more about the racket that this Lou Reed character was making. “Sweet Jane” (the live version), long intro solo and all, was the kind of song worth sticking out a friggin’ Foreigner song in hopes of hearing. The hairs stood up on my neck every time Reed sang, “Some people like to go out dancing/There’s other people like us, we gotta work.” This was the language I heard from my hard-working Mom after another long day’s work. This was way more true to the language in my home than songs about rockin’ and rollin’ all night, as was that “life is just to die” line that caps off “Sweet Jane.” Many a Saturday and Sunday morning in my house growing up was centered around such certain thoughts, as my Mom struggled to get out of bed and face another lonely day. Not really the “best of,” but a boy’s got to start somewhere. After a few months of waiting for “Sweet Jane” to play, I finally took matters into my own hands, buying the Rock ‘n Roll Animal album as well as a cheapo “best of” album. The “best of” album included “Walk on the Wild Side,” of course, as well as a bunch of songs that were really strange to my ears. “Satellite of Love” sounded familiar, like a David Bowie or Mott the Hoople song I would have already known, but some of the awkward songs stuck out, stuff like “How Do You Think It Feels,” which dealt with really personal, depressing stuff in a stilted musical arrangement. Like some of those lines from “Sweet Jane,” the mood of the song rang surprisingly true to the mood that sometimes pervaded my house. “Wild Child” was an easy release, like a cheap follow-up to “Walk on the Wild Side.” Some of the other songs were unlistenable for me then and now. 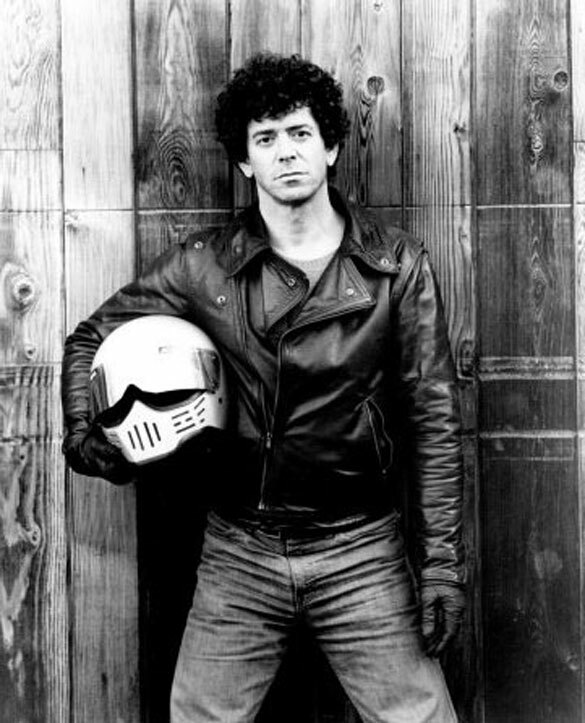 From the beginning I would come to terms that Lou Reed had an amazing propensity to turn out absolute crap. Even Lou thought this was crossing the line.